See the scathing things the GAO has to say about flood insurance. 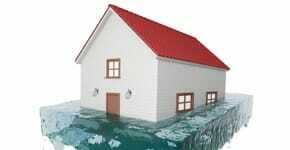 A standard home insurance policy does not cover flooding. Even if you don't live in a high-risk area, flood insurance could be a wise purchase. If you don't think your home is at risk for flooding, think again. 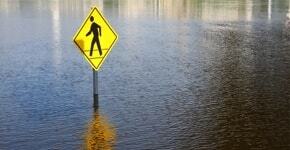 Flood insurance: Are you in the zone? The Federal Emergency Management Agency (FEMA) has been improving flood zone maps to illustrate the potential for severe flooding nationwide. Before a flood arrives, have an evacuation route planned, and know how long it will take to evacuate your home. Home insurance doesn't cover flooding. Here's how todecide whether you need a flood insurance policy. Mud may look all the same to you, but the dirty details affect insurance coverage.